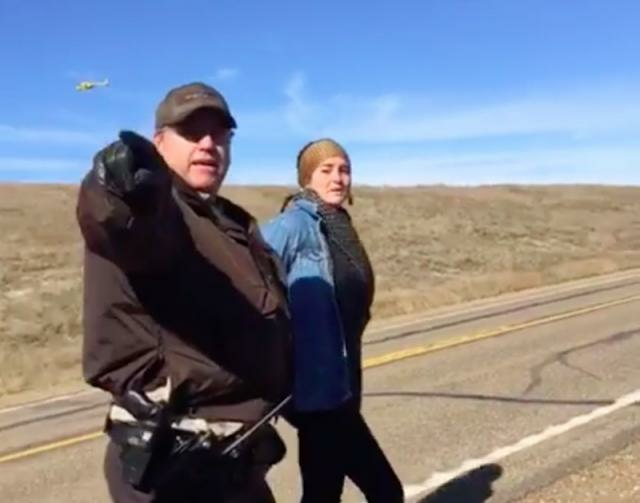 Actress Shailene Woodley was one of 27 people arrested Monday for trespassing during a peaceful protest of the Dakota Access Pipeline. She broadcasted the entire incident on Facebook Live to bring attention to a situation that not enough people are talking about. Woodley was among the 200 other people who were protesting the proposed Dakota Access Pipeline, which many believe would negatively impact the environment, as well as disrupt historically significant Native American tribal areas like the Standing Rock Sioux land. The 1,172-mile pipeline would transport oil and run through Montana, Canada, North Dakota, South Dakota, Iowa and Illinois. Any problems with the construction would pose a threat to the land and water resources of the 8,000 people who live on the Sioux reservation. It was originally supposed to go through the state capital of Missouri, but was rerouted for fear it would affect the water supply there. This is an issue Woodley cares deeply about. 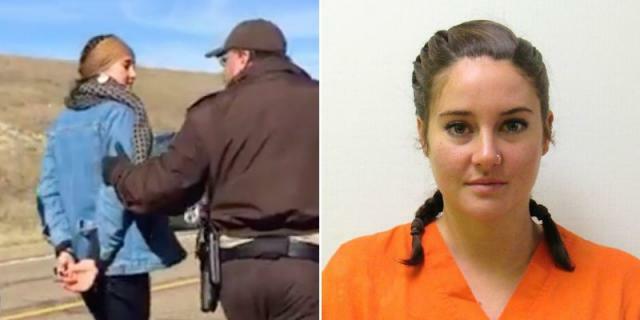 The "Snowden" actress had her mother film the moment the police arrested her. You can watch her arrest at the end of her Facebook Live video of the protest. Alright, I'm being arrested because I was trespassing like everyone. As soon as you guys asked me to leave, I left…I'm being arrested. I was down there with everybody else. I don't know what’s going on? As soon as they came, I left…It's because I'm well-known. It's because I have 40,000 people watching. So everybody knows, we were going to our vehicle which they had surrounded and waiting for me with giant guns and a giant truck behind them just so they could arrest me. I hope you’re watching mainstream media! The video has been viewed over 3 million times and has over 87,000 shares. According to a statement from her publicist, Woodley was released on Monday night and will appear in court on October 24.